Monday through Friday, 8 a.m. to 3 p.m.
Ashland Main Street is a non-profit organization focusing on economic development through revitalization efforts. We enhance the downtown business climate while promoting and preserving our historic identity as a center of cultural activity. As our downtown grows and develops and we attract new people and businesses to our Main Street area, the whole community benefits! 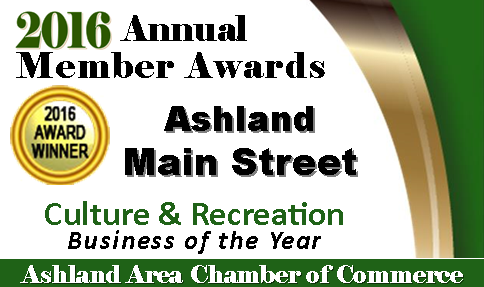 Ashland Main Street is a non-profit organization focusing on economic development through revitalization efforts. just south of downtown Ashland on Claremont Avenue, sharing a building with the Chamber of Commerce.